Rate schedules have a tremendous impact on energy costs. EnergyCAP makes it easy for you to make sure you’re paying what you should be paying and that your tenants or internal customers are being charged appropriately. Automated rate schedule benchmarking and specialized reports help you confirm that your accounts are all on the correct and most favorable rate schedule and identify savings opportunities. For internal chargeback or tenant rebilling scenarios, build custom rate schedules or add special charges (e.g., administrative fees) to pass-through vendor rates. 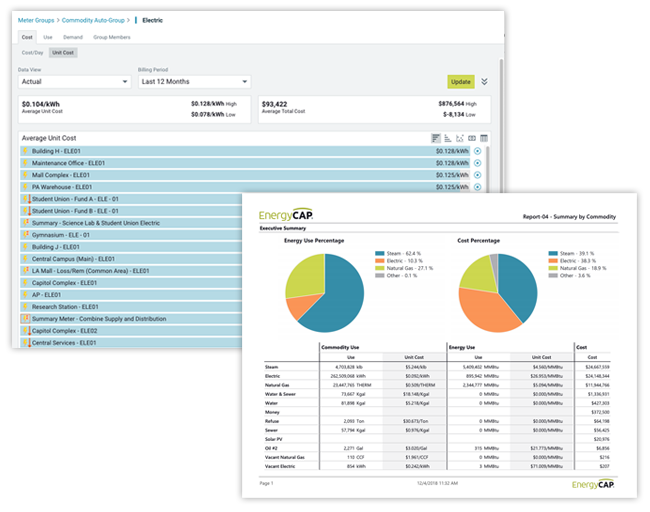 And your actions can be tracked, analyzed, and communicated via EnergyCAP’s easy-to-understand reports.